I’d always thought I’d been blessed with good skin, but that changed after I had my first son thirteen years ago. Suddenly I had darker, blotchy stretches of skin around the perimeter of my face and on the sides of my forehead, a condition that became more apparent after I gave birth to my second son. This hyperpigmentation was a result of melasma: hormone-triggered dark spots that can appear on cheeks, forehead, chin and above the upper lip. It can also appear on parts of the face and body that get lots of sun. Melasma affects more than five million Americans, mostly women. For me, the worst of it is on the left side of my face, where sun exposure has exacerbated the discoloration (likely while I’ve been driving), but with all my efforts, it really looks much better. Melasma (combined with sun damage) is quite stubborn and difficult to treat—more difficult than general hyperpigmentation since it’s caused by hormones from the increased prevalence of pregnancy and oral contraceptive use. Melasma is often referred to as pregnancy mask. For me, it’s been quite the journey to find the right products to help diminish the dark spots. 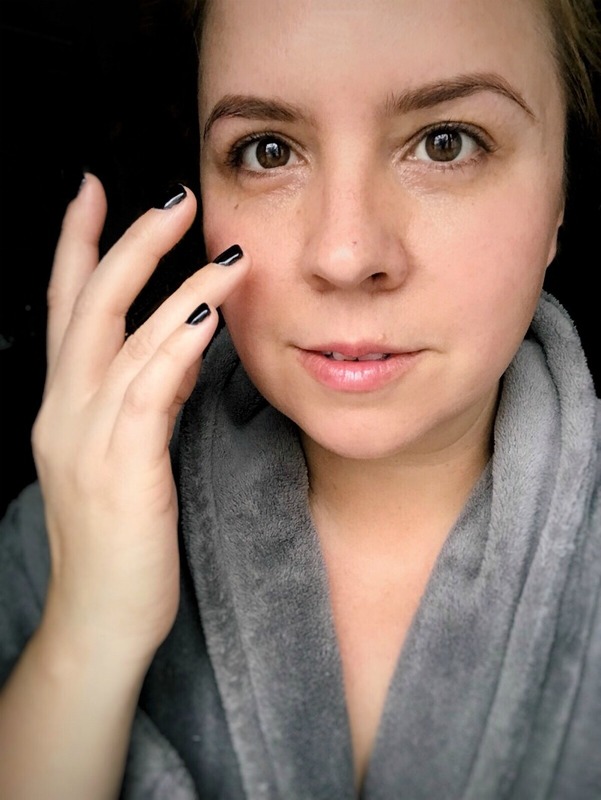 My hyperpigmentation is not altogether gone but it’s significantly better and it’s something I work on treating every single day… especially since I love being bare faced, or sporting a natural, “no-makeup makeup” look. Here’s how I tackle my hyperpigmentation, along with the products I love the most. I use the TATCHA SILKEN PORE PERFECTING SUNSCREEN in addition to using a tinted moisturizer with SPF (LAURA MERCIER TINTED MOISTURIZER). In the car, I keep an SPF powder that I brush on every time I drive. I’m pretty aggressive at fighting my melasma and it’s on these items that I invest the most. There are various types of skincare products I use to help both combat discoloration and brighten skin. These are the items I’ve used and loved, but it’s super important to note that fighting melasma or any kind of hyperpigmentation takes consistency over years… you may not see major improvements immediately. I also think it’s often a cocktail of really great (sadly often expensive) products that will make a noticeable difference. I use an essence after cleanser to help treat concerns, but also to help products work harder, absorb deeper into my skin. Read this post on skincare order if you have questions on what to use when. SK-II FACIAL TREATMENT ESSENCE – Reducing spots and appearance of wrinkles, improving skin texture and firmness and elevating radiance. CAUDALIE VINOPERFECT GLYCOLIC BRIGHTENING ESSENCE – Natural brightening essence powered by glycolic acid to sweep away dead skin cells and organic grape water to hydrate. Helps reveal brighter, smoother and more even skin. Vitamin C is your best bet at brightening the skin and I find that SKINCEUTICALS C E FERULIC is the best product to use. It’s very pricey, but to me, worth it. I use it every morning. A great, less expensive option is the MAD HIPPIE VITAMIN C SERUM. I combine my vitamin C serum with the new SKINCEUTICAL DISCOLORATION DEFENSE. Just a drop or two of each into my palm, then I press it gently into my skin. 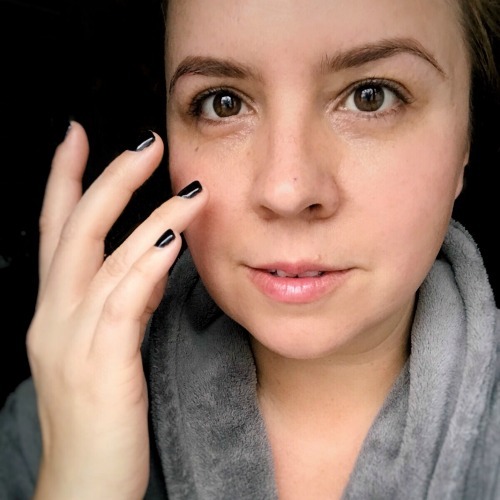 At night, instead of the Vitamin C serum, I use the LYTERA 2.0 PIGMENT CORRECTING SERUM, which is another really expensive treatment that actually works to combat the actual dark blotches. CAUDALIE VINOPERFECT RADIANCE SERUM is a newer-to-me product I’ve been using in the morning after my Vitamin C serum and I’ve already noticed my skin looking brighter. It’s formulated to combat dark spots, even skin tone and boost radiance. It claims to be 62 times more effective than Vitamin C with through its use of viniferine—a powerful, natural ingredient derived from grapevine sap. While I use several different types of moisturizers during the day, the most powerful product I use (from this entire list) is my evening moisturizer. It’s a compound cream prescribed by my dermatologist formulated with both hydroquinone and tretinoin, both lightening agents that treat stubborn melasma. The cream is also a retinoid. It’s totally amazing and I can see a difference almost immediately. In the past, I’ve used Obagi Nu-Derm (which worked really well), but I find this compound cream is just as effective and less expensive, especially since I’ve heard that Nu-Derm isn’t as powerful as it once was. The cream is to be used at night only, for three months, then I take a month off, then start up again. If you struggle with any kind of hyperpigmentation, I highly urge you to talk to your dermatologist about a prescription compound cream. One other category of products I use more intermittently are masks and exfoliators. Starting with the latter, it’s important to exfoliate your skin a few times a week. I usually use either the LA MER REPLENESHING OIL EXFOLIATOR (obviously super luxe), or the ERNO LASZLO WHITE MARBLE DUAL PHASE VITAMIN PEEL, but really you can find a good, grainy exfoliator easily. If you have sensitive skin, you may opt for a gentle exfoliator. There are always a million masks out there you can use, but for radiance my favorite continues to be the TATCHA VIOLET C RADIANCE MASK which is packed with Japanese beautyberry, two types of vitamin C, and AHAs from seven fruits. I also love and use at least once a week, the KIEHL’S TURMERIC + CRANBERRY SEED ENERGIZING RADIANCE MASK. I would say these products are integral to the overall regime, but if you’re going to really invest in a handful of products, do it with serums. They are your big workhorses with the highest active ingredients. If you have more funds to invest into battling hyperpigmentation, you may consider laser treatments. 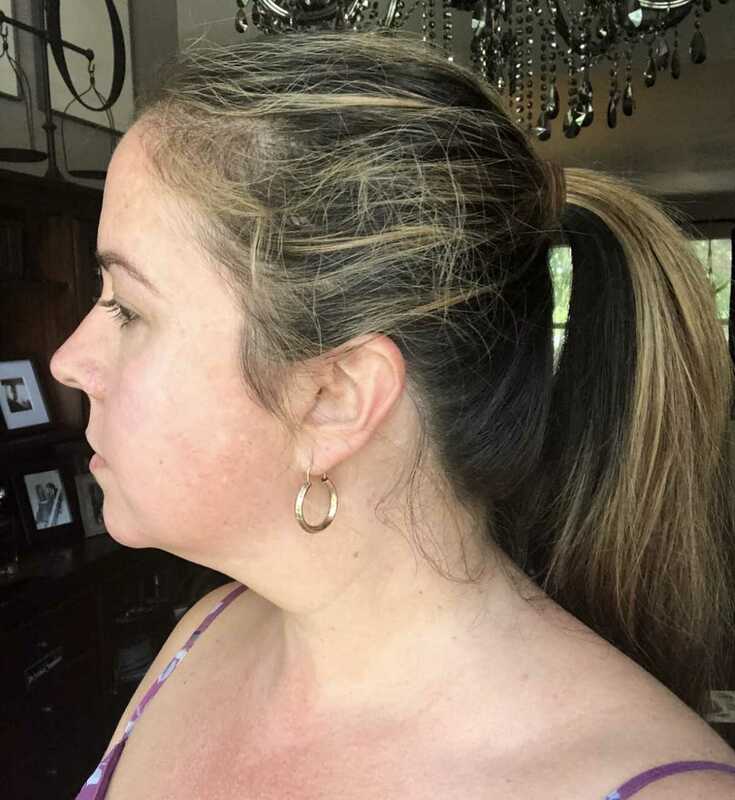 I had an AWFUL experience with the Skinceuticals Advanced Corrective peel (I swear I think it made my melasma worse), but have seen some success with lasers. Personally, I haven’t done a full Fraxel, but I have had a couple Clear & Brilliant treatments. I love this one and it’s great as an all-around laser, especially for first timers. They are gentle and help improve skin tone while diminishing the appearance of pores. In September, I’ll be doing an IPL photofacial, which better tackles hyperpigmentation, discoloration and sun damage. IPL (intense pulsed light) uses light energy to repair damaged tissue and stimulate collagen production. I’ll definitely take you guys along in my experience on the IPL, so stay connected with me on social media to get the scoop. If there are laser treatments, or any products, you’ve tried that have made a big difference in the fight against hyperpigmentation, drop a comment below… I’d love to hear from you! I hope sharing my routine has been valuable and as always, feel free to message me with any questions.